Minnesota Congressman Keith Ellison is one of the top leaders in the Democratic Party who does a great job of helping to make people flee from electing them into office. 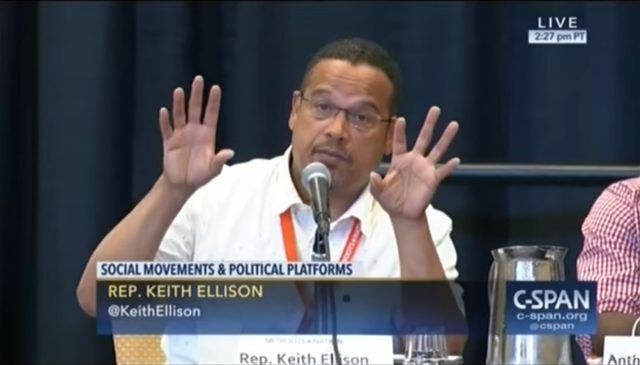 What can be said about Ellison that would make any informed, sane person want to have anything to do with a party whose vice chairman is a Hamas sympathizer, has met with people who fund suicide bombers and many other things that show he is aligned with radical Islamic terrorism. Over the weekend Ellison showed us that he is also partial to brutal Asian dictators by giving his approval of Kim Jong-un. Yes, the North Korean dictator who starves and terrorizes his own people and threatens to wipe out masses of people with nuclear weapons. “This guy” he is referring to is President Trump. 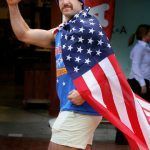 These comments came after North Korea threatened to bomb Guam and amid news that the regime had developed a nuclear warhead small enough to fit on a missile. In response, Trump vowed to deliver “fire and fury” should North Korea follow through on their threats. After outrage, Ellison took back his statement, sort of. In a short interview after the speech, Ellison dialed back the Kim-Trump comparison. In reality, President Trump has stood strong, like a leader should while Kim Jong-un backed down from his Guam threat. Keith Ellison is a clown and has no idea what he is talking about. He is intentionally being against everything that Trump does for partisan political purposes. Over the last eight and a half years, it is clear that the Democrats have no idea what they are doing with their crack-pot leadership, terrible policies, identity politics, emotional misdirection, and conspiracy theories. Is it any wonder why Democrats are not being taken seriously? Next articleMoments After President Trump Finished His Press Conference Paul Ryan Stabbed Him In The Back With This Treacherous Act! So why is he an elected US Washington lawmaker?? is he an elected US Washington lawmaker?? I introducing illegal ? ?keith allison?? I have a great idea. Why doesn’t this commie clown go to North Korea and parlay with Kim Jung Un? They should have a lot in common.